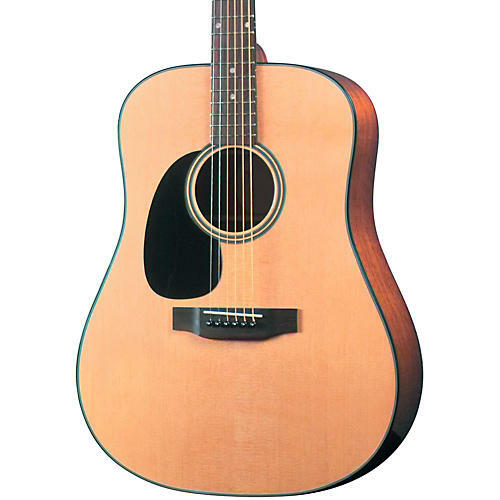 The Blueridge BR-40 left-handed dreadnought acoustic guitar is certainly the workhorse of the Blueridge Contemporary line. Every detail makes for easy playability & a big, powerful tone. The solid Sitka spruce top is dynamic and powerful; meanwhile the mahogany back and sides offer extraordinary texture. Gorgeous accouterments like 5-ply body binding, mother-of-pearl inlays and nickel-plated Kluson-style tuners complete this very popular model.